There’s not a lot of cues to indicate that fall has arrived here in the Inland Empire. The Shops at University Park — 1725 Northpark Blvd. in San Bernardino — are finally filling in! Jamba Juice and Jimmy John's are now open and Wayback Burgers should be joining them on October 16. After a multi-year delay (at one point it was slated to open in the summer of 2015), the Shops at University Park is finally nearing completion. 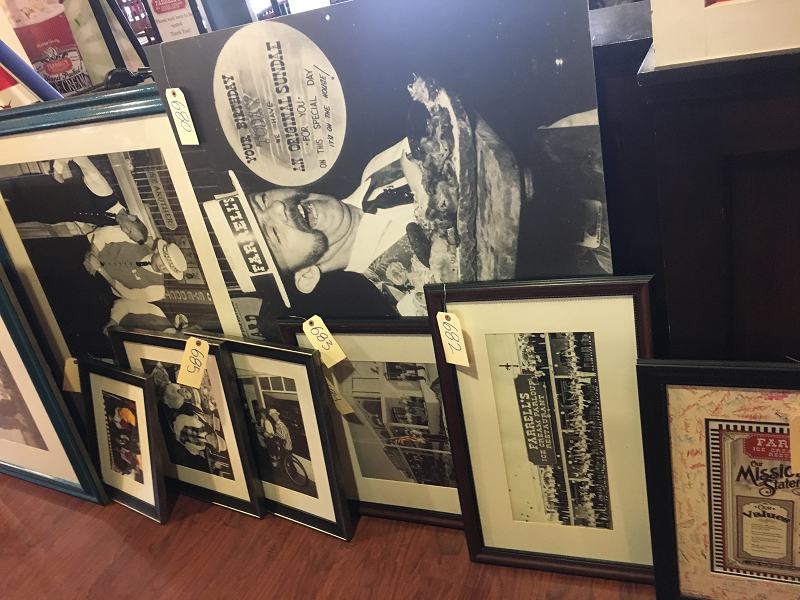 Wingstop is opening its second Rialto location on Wednesday (September 27), but is offering a sneak preview from 5 to 7 p.m. tonight (September 26). And that sneak preview includes a free six-wing combo. Prompted by an email from reader Harlan, who went by Mitla Cafe in San Bernardino earlier this month and found it closed, I did a little research and discovered that they were indeed closed. But thankfully, not for good. Fall doesn’t officially start until tomorrow, but The Coffee Bean & Tea Leaf has been celebrating since the beginning of the month. 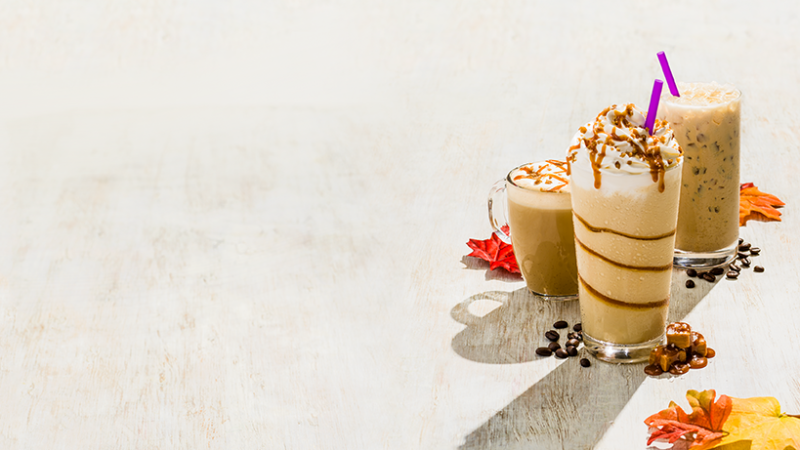 From 2 to 6 p.m. every Thursday in September, the coffee chain has been offering guests $2 small salted caramel beverages. If you’re a fan of Farrell’s Ice Cream Parlour, then today’s (September 14) your day. The clock is ticking on Babe’s Bar-B-Que & Brewhouse’s 90 Days of Pizza lunch deal, which began back on June 22. Guests can build their own pizza with unlimited toppings for just $9 from 11:30 a.m. to 3 p.m. weekdays. 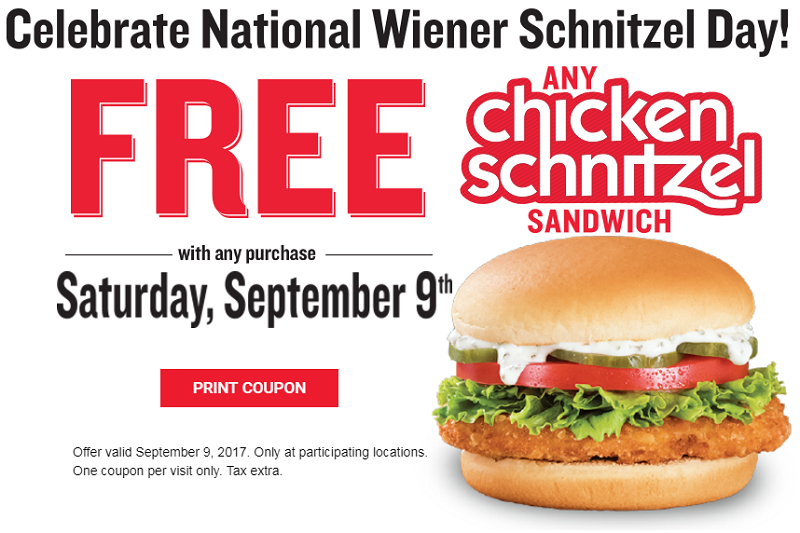 What other chain could celebrate National Wiener Schnitzel Day other than Wienerschnitzel? The hot dog chain is giving customers a free chicken schnitzel sandwich — with any purchase — on Saturday (September 9) to celebrate the holiday. 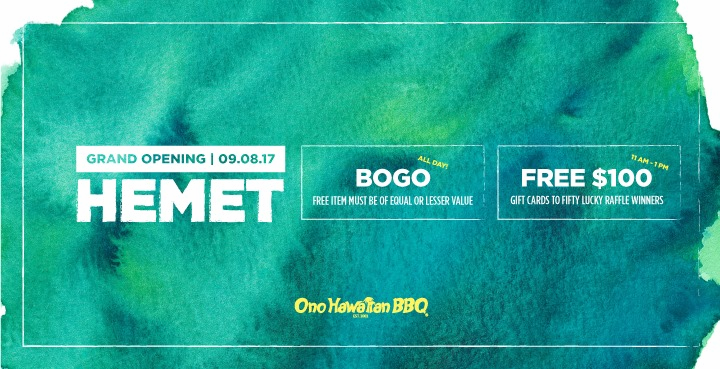 Hemet is almost ready to say “Oh, yes” to Ono Hawaiian BBQ. The island-inspired chain will open its 65th location in the city on Friday (September 8).